Have an invention or invention idea? This is a list of some helpful links for inventors. These websites are not being recommended by us, and are merely provided to serve as a helpful starting point for your own research. A good place to start learning about the invention process is our Inventor Information section. We have hundreds of articles on inventions, inventing and the whole invention process so look for what you need on our Inventor Information section or just search our site using the site search box for any specific information you are looking for. You can also check out our Inventor Service Providers Directory if you are looking for a particular service provider. U.S. Patent and Trademark Office - Inventors and Entreprenuers Resources Page - Has links to various guides and resources suggested by the USPTO. SCORE (Service Corps of Retired Executives) - a nonprofit organization that is a source of free & confidential small business advice for entrepreneurs. Technology Commercialization Learning Center - Comprehensive coverage of the technology commercialization process. U.S. Patent and Trademark Office - Inventor's Assistance Center - Offers general patent assistance to the public. Helping an answering questions you may have about patent examining policies and procedures. They can also help you in filling out forms. U.S. Department of Energy's (DOE's) Advanced Manufacturing department offers financial and technical support to inventors and businesses for promising energy-saving concepts and technologies. 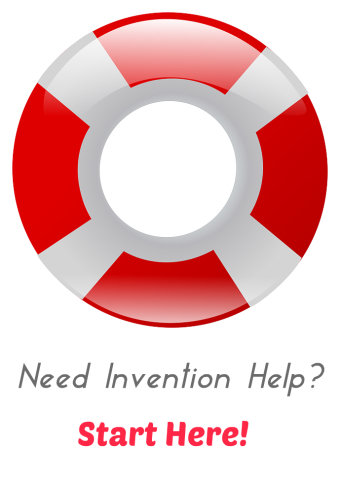 Take a look at InventorSpot's information for inventors on Patenting Your Invention Ideas. Additional resources on patenting and patents is available here. U.S. Patent and Trademark Office - Inventor's Assistance Center - Offers general patent assistance to the public. Helping an answering questions you may have about patent examining policies and procedures and help you in answering questions about forms. USPTO Patent Ombudsman Program - Here is a terrific collection of all the telephone numbers and descriptions of various offices of the USPTO so that if you need to contact them, you can figure out where to go and how to reach them. Getting financing for your invention will usually be a challenging process. Here's information on InventorSpot on Financing Your Invention (including information on how to use Crowdfunding). You should also take a look at these resources to help you get started. Crowdfunding - online sources for start up and micro funding for your invention ideas. You just submit your invention idea and you get access to funding from members of their community. InventorSpot.com - post frequently on all the various invention and product competitions and contests looking for new product ideas. AIPMM - Association of International Product Marketing and Management (AIPMM) is largest professional organization of product, brand managers, and product marketing managers. European Intellectual Property Association - The European Intellectual Property Association (EIPAWEB) represents over 100 non-governmental and other not-for-profit organizations interested in protection the intellectual property of all Europeans. Marketing Profs - helping info and marketing know-how from professionals and professors. Cision - Source for media contacts such as newspapers, magazines, television and radio. Marketing Sherpa - real life case studies, practical know-ho and benchmark data on what works in marketing today. Unless you are going to go through the process of taking your invention idea from concept to finished product actively in the market, you will be looking for a potential licensing partner. And even after you have finished products available, finding a great licensing partner to promote and sell your product may be a great idea. So licensing is a critical part of the invention process and not something you want to have someone else handle without your active participation. Look here for our tips on licensing your product idea and other helpful resources for licensing an invention idea or a finished product. LES - Licensing Executives Society- extensive resources and training for its members but there is an annual fee and to join, you need to have referrals for existing members. Thomas Register of Manufacturers - Database for industrial information, products, services available at most libraries. This is a great list to look for potential licensees. SCORE.org - terrific resource for free small business advice and individual counseling for free. StartUpNation.com - great resource on everything you need to start your business. Electrical Engineering Community - great resource for anything related to Electrical Engineering. They have news, extensive resources and an active community for anything related to electrical engineering. Make sure to check out our Inventor Service Providers Directory. If you would like to be featured here or if we need to update the information on this page, please Contact Us.